Samsung Newer Firmware Phones, we have option to apply direct FRP Reset Pack to enable FRP Removal. Reset Pack for some other phones are also uploaded on support, so you can download them and put in same folder. Software will automatically read them. 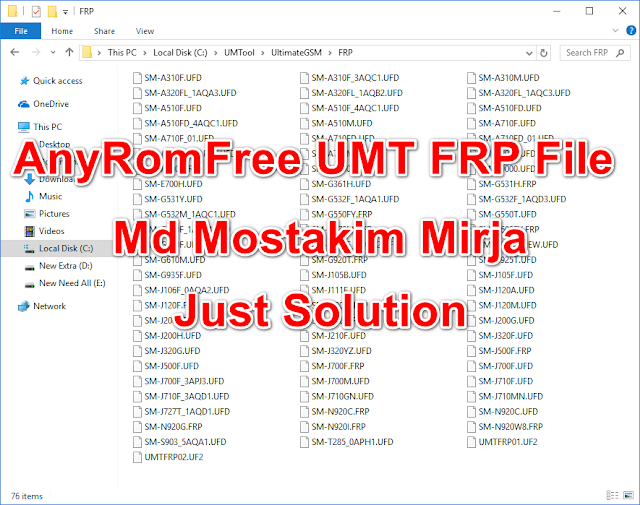 If you still can not find FRP Reset Pack for your phone, you can post here information about your phone. Connect your phone in Normal Mode, select Modem port and tick Reset FRP and click on Reset. If your phone need Reset Pack, UMT will tell you. You must copy and paste full log here to get your required Reset Pack. It may take few hours to prepare Reset Pack and upload to support.